Mexico is a rising leader in the world of consumer and industrial electronics. There is a rising leader in the world of consumer and industrial electronics. Mexico Electronics Manufacturing has grown rapidly over the past decade. Currently the second largest supplier of electronic products to the US market and the sixth largest electronics industry in the world, Mexico is currently home to a thriving electronics sector – one of its fastest growing industrial sectors regarding employment generation and export potential. According to some estimates, Mexico Electronics Manufacturing will increase by an annual average rate of 2.5% through 2020. The design and manufacture of flat screen plasma, LCD, and LED televisions is the largest segment of the Mexican electronics industry, representing 25% of its electronics export revenue. Production also is heavily focused on cellular phones, computers, data processing machines, control units or adaptors, telephone components, semi-conductors, transmission and receptor equipment, automatic machines for data processing, microwave receivers, modular circuits, and video game consoles. Progress is even being made in the manufacture of products used for brain scanning and 3D animation. 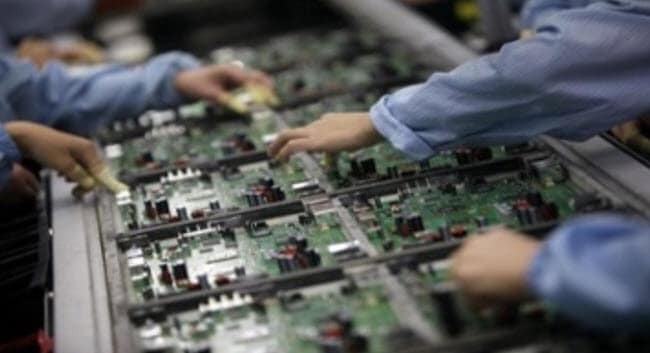 Investment in the electronic components segment of Mexico’s manufacturing sector has reached up to $5 billion per year. As a result, Mexican-manufactured electronic products are in high demand around the world. Some of the largest TV and consumer electronics producers on the globe have set up operations in Mexico. Some of the more notable investors include Sony, Toshiba, Samsung, Zenith, LG, RCA, Phillips, Panasonic, Dell, Compaq, Siemens, and Vizio. But electronics manufacturing in Mexico is not limited to wholly-owned subsidiaries. Many OEM and ODM manufacturers operate within Mexico on behalf of other electronics companies – examples include global EMS companies such as Foxconn, Celestica, Falco, Benchmark Electronics, Plexus, Lanix, and Flextronics. In addition to a world leading electronics manufacturing industry, Mexico is also home to many companies that are engaged in electronics depot repair. The driving factors for Mexico Electronics Manufacturing rise in this industry are numerous. According to Alix Partner’s Outsourcing- Manufacturing Cost Index 2010 and KPMG’s Competitive Alternatives 2010 reports, Mexico has the lowest component manufacturing costs of any country in the industry. Additionally, 114,000 students of engineering and technology-related fields graduate from Mexican universities each year, adding to the already extensive highly skilled labor pool. Another driving factor for this growth is the intellectual property protection and safety of original products’ rights enshrined in the legislative framework of the country. Mexico Electronics Manufacturing has been able to grow thanks to the Mexican government’s legislative help and the signing of 28 IPPAs (Investment Promotion and Protection Agreements) and DTTs (Double Taxation Treaties) with more than 40 countries, providing access to a potential market of more than one thousand million consumers and 63% of the world GDP. Lastly, Mexico’s geographic orientation provides strategic access to the Atlantic and Pacific oceans and has established Mexico as an intermediary in the growing North America and South America markets.